Spanish Preposition Practice - ¿Donde está Penny? 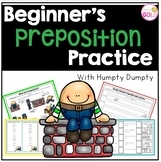 This product includes three practice worksheets. 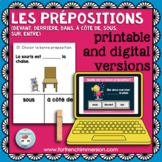 The first is a graphic organizer that give the definition of a preposition and eight drawing bubbles to practice various prepositions. 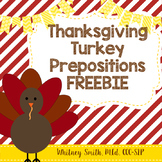 The second is an opportunity to practice writing sentences with prepositions. The last is a multiple choice quiz. Students use prepositions of location to locate "el conejo" in the photos. Can do this verbally or in writing. Or both! 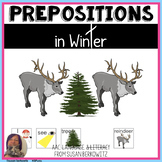 This is a great review for prepositions and prepositional phrases: It highlights the definition of prepositions as well as the object of a prepositional phrase. Great for a test review. 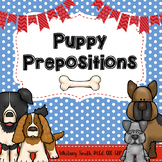 If your students need a little more practice with classifying sentences using prepositions, and adverbs that modify adjectives and other adverbs, this is the resource for you!This is ideal for Shurley English Level 3 learners. Preposition Practice ¿Dónde está Yoda? 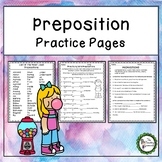 This PowerPoint reviews and practices commonly used prepositions in Spanish with the help of Yoda! I made the PowerPoint to include common household furniture and rooms. All text is animated and the answers are included throughout the PowerPoint, so it is ready to click through and use!